Many Vietnamese parents, especially those in large cities, are willing to pay for courses on parenting skills, with the support of modern technology. At 9 pm on every Thursday, when her 15-month-old daughter is in a deep sleep, Nguyen Kim Thoa in Thu Duc district, HCM City has a 1-hour online lesson with a child psychologist who lives in Australia. The training course comprises 10 lessons about children’s psychological development stages. 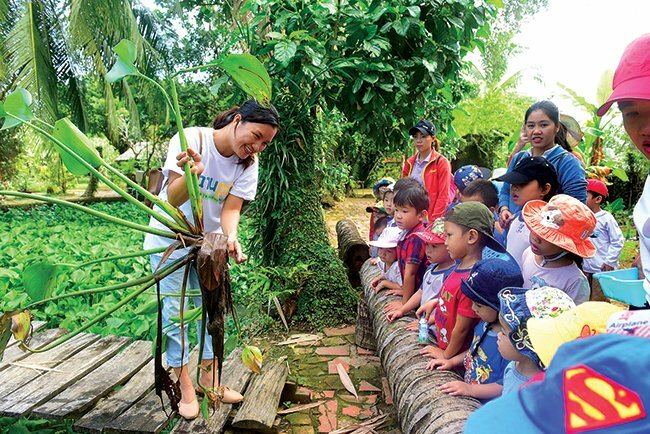 Parenting-skill courses have become more popular in Vietnam, attracting young mothers, especially in urban areas, despite high tuition, about VND5 million, equal to the monthly income of a factory worker. Online parenting courses such as Kynia, Unica and Edumall are the choices of many urban parents, from office workers to housewives. With friendly and easy to learn platforms, online courses both provide knowledge and direct consultancy from teachers. With the presence of Facebook and social networks, there are many ways for people approach training courses on parenting skills. Le Thien Tran, a nursery school teacher in HCM City, who follows the Montessori method, is providing online classes to parents who are interested in the education method. “I realized that many parents misunderstand the method. So I decided to provide training courses to correct the misunderstanding and support parents who want to follow the method,” Tran explained. Tran said the first training course, provided to 15 parents and two young unmarried girls, gained big success. After receiving positive feedback from students, Tran plans to open new classes every month. “In the technology era, everything is possible. You can learn from everywhere and at anytime, while lessons are more flexible and effective,” she said. The teacher went on to say that via social networks, she can approach more parents and share experience in parenting. Lan Huong, the mother of two a 3- and 5 year old, decided not to take her children to English centers. Instead, three of them are joining a group comprising parents who want to study English with their children. The class opens on the internet and it is run by a teacher in Hanoi. Huong is satisfied about the way she is learning English, because she can do this with children at their home. She can also share experiences with other parents. The strong development of technologies today allows parents to better arrange work and spend time with their children.